Value Added Tax (VAT) is the hottest topic in UAE at this moment. There is lot of discussion among masses regarding the new tax on their lives and businesses. There are also concerns about the misuse of this tax by retailers and many people registered their complained to the government authorities about being charged heavily. Few businesses are also under pressure from VAT because they are facing such tax for the first time in UAE. But one can expect the rise of minor issues with the implementation of tax for the first time and it is just one side of the picture. The purpose of this tax is to reduce the reliance of government on oil and gas sector as the prices of international oil market is falling continuously and there is very little hope of restoration of these prices on their previous levels. Therefore, it was eminent that government has to take a huge step in order to compete the new era. 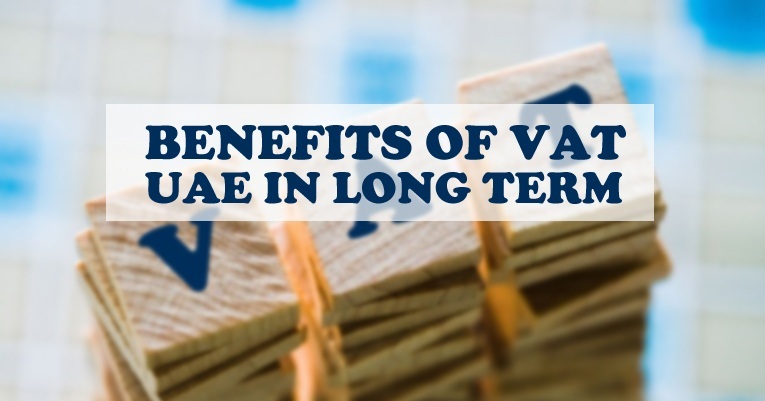 VAT is one of the most important steps taken by the UAE government in order to diversify its economy. People are slightly worried about the newly implied tax but there are several benefits waiting for them and for the country in the coming future. Few of the important benefits of VAT on the country, lifestyle and businesses are following. The first benefit of VAT is the diversification of economy. It helped the government to reduce its reliance on just a single sector (oil & gas). Therefore, if the oil prices reduce markedly in the international market anytime in future, the government and public life will not be much affected as the country will already be extracting capital from other means, which also include VAT. According to IMF, different taxes can help UAE (and other GCC countries) to boost over 1.5% of their GDP. Residents in UAE are used to spend lavishly on unnecessary items as they are not paying any taxes on various items they purchase. This type of attitude creates overspending among people and they waste their money on unnecessary objects. The introduction of VAT and other taxes (especially the sin tax on harmful items) will prevent them to spend heavily on unnecessary and dangerous items. On the long run, is beneficial for the whole society and create spending sense among masses. The government of UAE has already announced that the major chunk of the revenue generated by VAT will be given to local governments. This revenue will ultimately be utilized for welfare of people in projects like construction of roads, providing health facilities etc. This is a clear indication that residents of UAE will be the real beneficiaries of VAT in the long term. Great to hear that benefits of VAT in United Arab Emirates is for long term. Thanks for article!